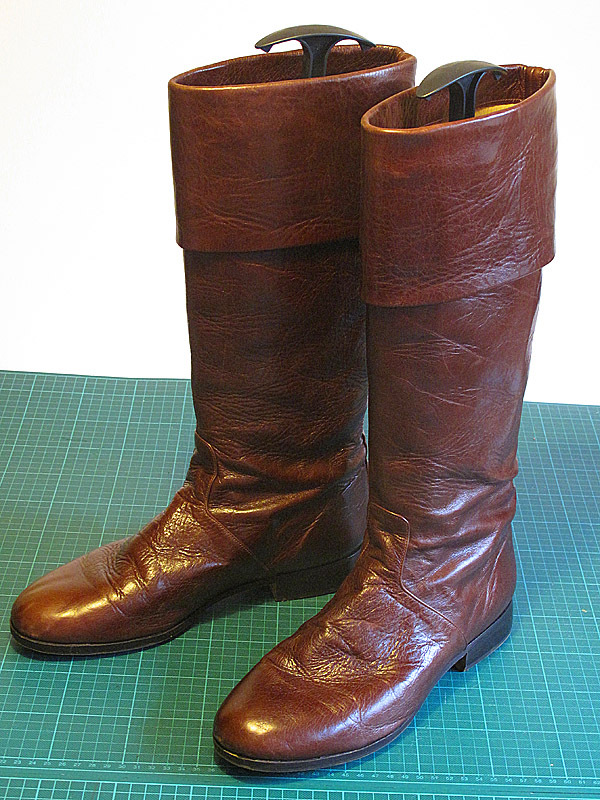 One part of my Tom Baker Costume that’s been gathering compliments are my boots! A lot of people commented on they at NorCon a couple of weeks back, and several readers have remarked on them to me as well. 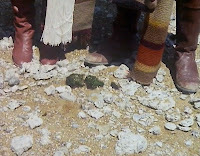 They are closely based on a pair of boots occasionally worn by Tom Baker during season 16 and 17. There aren’t that many good shots showing them, as photographs are often cropped off, of the scarf covers the boots. 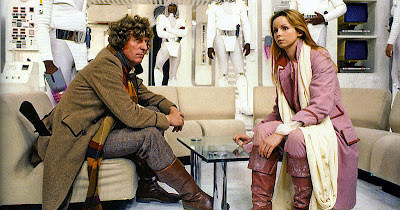 The two shots I used as reference were from The Armageddon Factor (see right) and Destiny Of The Daleks (see below). So where did I get them from? 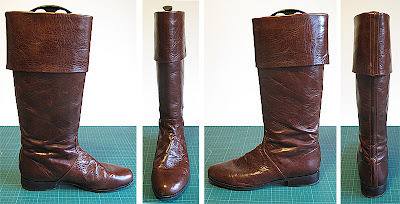 The same boot makers that make Matt Smith’s footwear! 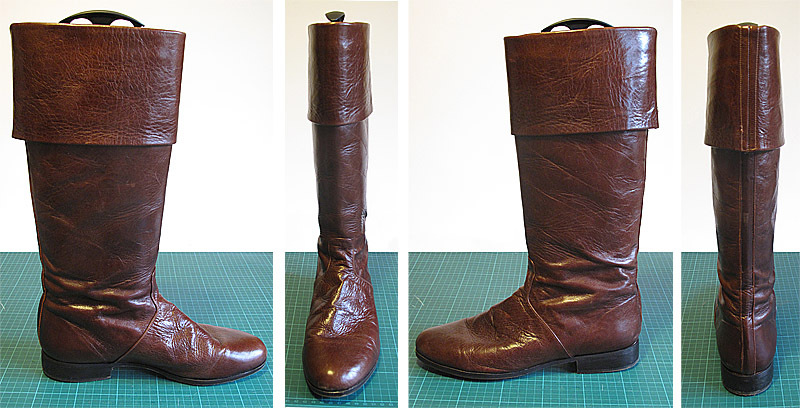 When I was there collecting some boots for a client, I took the chance to show them the photos above and ask if they could make them for me. The answer was a big yes! They are custom-made to my foot sizing, and are SO comfortable to wear, I can’t tell you! The guys did such a great job matching what I showed them, and they seemed to instinctively fill in the details they couldn’t quite make out in the photos. I wondered if they got the design over the ankle right, but checking a close-up in Destiny Of The Daleks put my mind to rest! 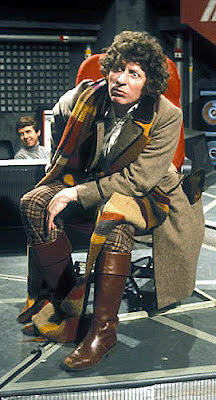 I’m so pleased with these boots – they really make the outfit!